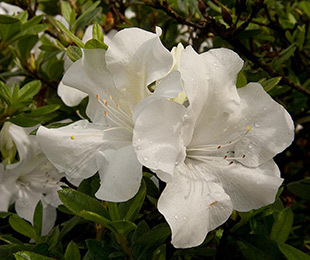 Description: An Azalea with a compact, dwarf habit and heavy flowering in autumn and spring, and regular flowering in summer. It has bright white blooms and attracts butterflies. Uses: Ideal for specimen planting, mass planting and in gardens and borders. Excellent for containers.